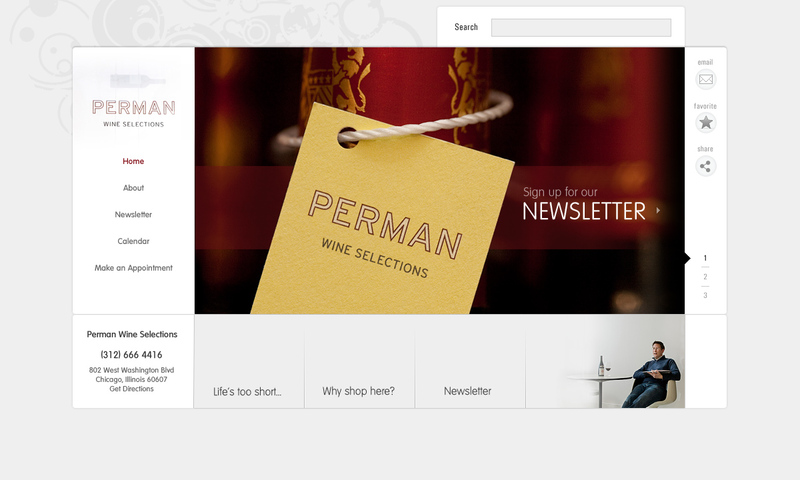 Craig Perman is a well known wine expert in Chicago. His service includes selecting the best wines available, and making sure they are geared toward your personal taste.He makes the best wines accessible even to the mostvirgin palate. Roles: User interface design, visual design mockups.